Clémence is toplining A Mermaid in Paris alongside Reda Kateb which begins shooting this Spring. Mathias Malzieu is set to direct “A Mermaid in Paris,” a romantic comedy/fantasy with Reda Kateb and Clémence Poesy. Kinology is handling international sales on the film, as well as co-producing with Wonder Films, Entre Chien et Loup and TimpelPictures. Sony will distribute the film in France. Virginie Ledoyen, Rossy de Palma and Eric Cantona round out the cast. Malzieu, who made his feature debut with the animated film “Jack and the Cuckoo-Clock Heart,” wrote “A Mermaid in Paris” with Stéphane Landowski (“Rise of a Star”). “‘A Mermaid in Paris’ will be Mathias’ first live-action film and it will mark the birth of a visionary auteur in the veins of Michel Gondry — he has an amazingly rich imagination, unusual way of telling stories full of whimsical charm and talent for creating endearing characters,” said Gregoire Melin, founder of Kinology. Malzieu, who’s also a singer and an artist, wrote a “A Mermaid in Paris” book and has composed an original score for the film. Both the book and the score will come out before the film’s release. The movie will start shooting next spring in Paris. Clémence has wrapped on her latest Directorial project À Balles Réelles a 25 minute short of which she also co-wrote alongside Éric Forestier. Four years that Sacha disappeared, without leaving any trace… One day, Signe bumps into Sacha by chance in the most improbable of situations. The opportunity shows itself to finally find answers to her questions … But is she ready to hear the truth? Chloe has started a Podcast Series and their first guest was Clémence. Watch below as Clémence talks about a range of topics, including female role models, the importance of telling stories, and whether aspirations evolve with age. Sorry for the late update, we hope to be quicker with updates moving forward. We have added the images of Clémence’s fifth appearance from the Venice International Film Festival. 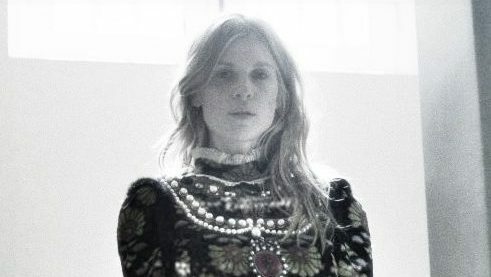 We know we are one day late, but, yesterday, October 3rd, our lovely girl Clémence Poésy has accomplished 36 years of life!! We love you and hope you had the best day. Unfortunately our site was down for a few weeks due to a hacking but it is now re-opened! Added a brand new main page theme and kept the beautiful gallery theme we previously had. Keep your eyes open as we should be adding new pictures from events and Clémence appearance on Genius as well.